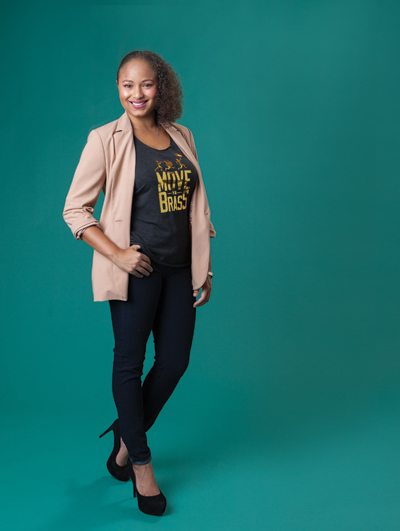 Following a life-threatening health crisis a few years ago, local singer and songwriter Robin Barnes was inspired to not only jumpstart her own wellness routine, but to inspire others in her hometown to do the same through a creative line of New Orleans-themed fitness apparel. “I am a proud New Orleanian, so everything I do will pay tribute to my New Orleans, in a positive and fun way,” says Barnes, who notes that for her, the only thing that could get her up and moving was brass music. “Our commitment is to provide stylish, fun and relaxed active wear that promotes people everywhere to reach those goals, and eventually soar above and beyond,” she says, adding that one of her main goals is to create an awareness of the need to balance the good time spirit the city is known for with healthy habits.